This international Women’s Day, GFC joins in solidarity with partners and women’s groups to defend women’s rights and gender equality worldwide. We also acknowledge that with recent times women still have many reasons for marching and going on strike this week, especially considering the wave of regressive policy sweeping through the globe, denying women’s sexual and reproductive and other health rights, economic empowerment and vital roles in accessing and safeguarding the environment. This completely diverges from the ambitions and aims for transformative change set out in Sustainable Development Goals (SDGs) that were agreed upon not long ago. GFC’s work on the Community Conservation Resilience Initiative and the #women2030 programme seeks to address some of these challenges, including the roles, needs and aspirations of women, Indigenous Peoples and local communities in biodiversity conservation and gender-responsive implementation of the SDGs. And despite some of the backward trends that we are witnessing around the world, we also see positive, inspiring developments with our constituencies, such as the growing recognition of the need for women’s equal and active participation in decision-making at the community level, and greater acknowledgement from the community and policy level of women’s invaluable roles and contributions to conservation and sustainable use. 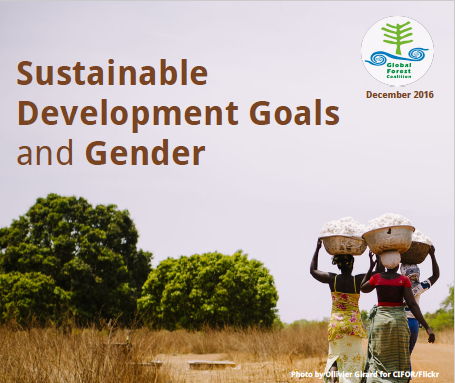 Our introductory brief on the Sustainable Development Goals and Gender aims to shed light on some of the gender dimensions of realising the goals, as well as the challenges and opportunities going forward as we try to make headway with the SDGs. We stress that now more than ever we need a rights-based approach and meaningful participation of women, Indigenous Peoples and local communities in the SDG process. And with that we need to continue to march on, especially this International Women’s Day.